Hank Castillon was born in Rock Springs, Wyoming and graduated from Lincoln High School with the class of 1963 in Green River. Hank lettered in track all four years and in football and basketball for three years. He earned an associate of arts degree in Accounting, bachelor of science degrees in Business Management and Business Administration, and a master's degree in Public Administration. His military education includes Field Artillery Wireman, Radio Repairman, Officers Candidate School, Field Artillery Officer, Jungle Operations, Army Command and General Staff College, National Defense University National Security, U.S. Army War College, National Interagency Counternarcotics Institute, and the California Specialized Training Institutes' Emergency Management Course. He began his military career in the Wyoming Army National Guard with training until he was called to active duty in December of 1969 and was assigned to Fort Carson, Colorado as Assistant Executive Officer and then Executive Officer. He was then transferred to the Republic of Vietnam and was assigned as Executive Officer to the Battery C 6th Battalion 29th Field Artillery, 4th Infantry Division. After his tour in Vietnam, he was assigned to Leonard Wood, Missouri. He was released from active duty in January 1970 and rejoined the Wyoming Army National Guard. In July 1984, General Castillon assumed command of the 115th Field Artillery Brigade. Upon completion of this command tour, he was assigned as Director of Personal Headquarters State Area Command, Wyoming Army Nation Guard. He was then reassigned as Post Commander of Camp Guernsey, Wyoming. After attending the US War College, he served for two years as Deputy State Area Commander and Headquarters State Area Command for the Wyoming Army Nation Guard. He became Assistant Adjutant General in May 1992 and received federal recognition as Brigadier General in March 1993 and then retired in 1998. 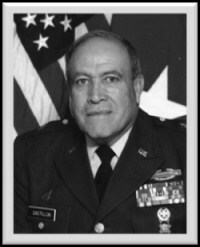 He has received numerous awards and decorations in the military including the Silver Star, Legion of Merit, Bronze Star Medal with "V" Device for Valor with one Oak Leaf Cluster, Purple Heart, Meritorious Service Medal, Air Medal, Army Commendation Medal, Army Reserve Components Achievement Medal, National Defense Service Medal, Vietnam Service Medal, The Armed Forces Reserve Medal with two hour glass devices, Army Service Ribbon, Army Overseas Ribbon, Army Reserve Components Overseas Training Ribbon with Numeral 2, Republic of Vietnam Campaign Medal, and the Combat Infantryman badge. Hank was appointed by Secretary of the Selective Service as Wyoming's Selective Service Director. He resigned to accept a position with the Department of Interior (Bureau of Land Management) and worked for the department for 13 years before retiring in June of 2009. He also was elected to serve as a School Board of Trustees member for School District Number Two and served two-four year terms. He has also served on the City of Green River Board of Adjustments, Southwest Counseling Service, University of Wyoming-Minority Students Advisory Committee, and Governor's Task Force Committee for the 2000 Census, National Guard Bureau, and National Guards Western Region Board. Hank was elected Mayor for the City of Green River in 2006. Larry Clause graduated from Greybull High School with the class of 1959 with many athletic honors. Some of those honors include All-Conference, All-District, and All-State in basketball. His team was district champions in basketball and consolation champions at state. He was a National High School All-American team member and was "Buff of the Century" for Greybull Centennial in 2006. After graduation, Larry continued his education at Rocky Mountain College in Billings, Montana receiving his bachelor's and graduating with honors in 1965. He received the Charles Stroup Award for Outstanding Scholastic and Athletic Achievement. He played basketball, football, and baseball and received All-Conference in football and basketball. Larry's first teaching and coaching position was at Shoshoni High School in 1966 where he taught science and coached football and basketball. After taking the state basketball championship, receiving Coach of the Year in 1967, and winning district championships in both football and basketball, he moved to Green River in 1969 and began his journey with the wolves. Larry coached basketball and golf, and he taught biology, advanced biology, human anatomy, physiology and conservation at Green River High School. He coached the Green River High School basketball team to two state championships in 1971 and 1975 along with many district and conference championships. He also led the golf team to state championships in 1971, 1973, 1975, and 1976. In 1974, the Green River golf team was only defeated at state by two strokes. 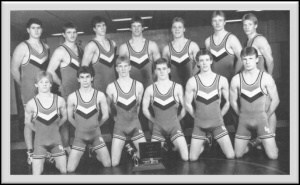 In addition, his team placed second to Rock Springs in the 1971 "Super Tournament" at Western Wyoming Community College. Larry received the Outstanding Wyoming Biology Teacher Award in 1979 which is selected by the National Association of Biology Teachers and received an American optical microscope. 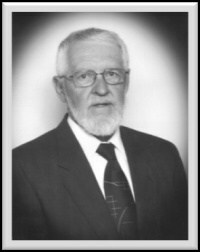 He was elected the first state president of the Wyoming Science Teachers Association in 1980. He wrote an article that was published in the Wyoming Educator Magazine entitled "The Killfish, A Good Science Specimen." He was nominated and selected for Outstanding Green River High School Teacher several times. Larry was also the science activities coordinator for most of his career. He was elected Outstanding Young Educator by the Green River Jaycees in 1977. He taught general biology for Western Wyoming Community College at the Green River Campus for a couple years. He also served on the Green River Ambulance Department as an EMT for almost 10 years. Larry is now retired and living in Pinedale, Wyoming. Eric Dowdle graduated with the Green River High School class of 1986. While in high school, Eric earned his Eagle Scout Award, played varsity basketball, and graduated with honors. Eric began his art career while in school where he earned 15 awards in the State Art Competition his senior year. He received a one year scholarship to Ricks College but a career acceleration did not allow Eric to finish college. Eric organized the Gingerbread House Foundation, and he is also the founder of the Utah PTA Art Endowment. Eric is the owner of the rapidly growing company, Americana Art Enterprises, where he currently has 26 employees. You can see the world like never before through Eric's whimsical paintings. He has a unique style that captures the heart and soul. Eric's folk art paintings are mystical and enchanting, bringing both the past and present together. Eric has applied his style and his love of American cities around the world, including Green River, through his art. Eric visits an area with his camera and spends time walking the streets taking pictures so that he may lay out the buildings and architecture of each city in a strangely sensible way. He also tries to get to know the people in the area to get a better understanding of the area, filling the streets in his paintings with these people who make each place great. He leaves the beaten path to explore behind the scenes. He lifts up the sidewalk to discover the city's folklore, the local cuisine, the city's heritage, immersing himself in the community as much as possible. This attention to detail is why Eric's paintings let others feel as if they have actually "been there" and "done that," and can't wait to go back. They give a personal touch to how people feel about their homes and country. Eric then begins his paintings by painting in charcoal while the details are fresh in his mind. He paints in acrylic using extra thin brushes to capture the sharp detail. Eric's paintings are full of vivid colors and detail. His paintings are honored and displayed in galleries across America. His originals and puzzles are collected by fans nationwide. Some of the original owners include Garth Brooks, the Hinckley, the Ashtons, and the Sorenson families to name a few. Eric sells his original paintings, puzzles, calendars, books, and personalized art. He has sold over one million puzzles worldwide. This year, the Dowdle Folk Art puzzles will be featured in over 500 Costcos in North America. His art can be viewed at www.dowdleforkart.com. Eric hopes that his puzzles will bring families together and his images of America will build loyalty and a love of our nation. Caron Emerson De Mars graduated from Green River High School with the Class of 1974. She held an office in the National Honor Society and on the National Forensics League. She was also president of the Green River High School Pep Club. After graduation, Caron attended the University of Wyoming. She was a United States intern for Wyoming Senator Clifford P. Hansen in 1976. She was a Kappa Delta Sorority Pan-Hellenic Representative. Caron was also a member of the University of Wyoming Speakers Committee and a Branding Iron Columnist. She received a bachelor's in Broadcasting from the University of Wyoming in 1978. As an insurance professional, she earned the Claims Casualty Law Associate and Chartered Property and Casualty Underwriter designations. Caron adjusted insurance claims in Wyoming and Montana for Crawford and Company then worked for State Farm Insurance as a property adjuster and then as an arson investigation specialist in Wyoming before relocating to Colorado to serve as a field trainer for adjusters in Colorado. She was promoted to management trainer in San Antonio and then Director of Insurance Operations for eight Midwestern states. Caron obtained a master's of Business Administration at St. Mary's University in San Antonio, Texas in 1994. Caron joined the United States Department of State as a Foreign Service Officer/Economic Officer/Diplomat in 2001. She moved to Brazil where she negotiated a maritime agreement on behalf of the U.S. Maritime Administration and secured an aviation safety agreement for our Federal Aviation Administration. She then served as an aviation negotiator in Washington DC and facilitated Open Skies agreements between the U.S. and Thailand, Chad, and Mali, and more liberal commercial air regimes between the U.S. and China, Japan, and Mexico. The State Department assigned her to the Philippines as the Energy, Environment, Science, and Technology Officers. Highlights included assisting the Philippines with oil spill remediation, securing agreements on behalf of NASA, the EPA, and the U.S. Geological Survey, and serving as a Trustee for the Philippine Tropical Forest Conservation Foundation which funded 82 forestry projects. She blogged and collecting samples for a National Geographic expedition that resulted in the discovery of two new marine species and appeared in the National Geographic TV special, "Into the Abyss." She learned Portuguese to fluency and now studies Arabic. 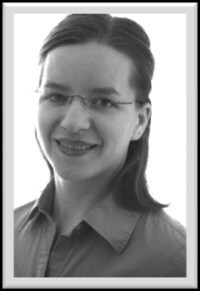 In 2009 and 2010, she studied International Science and Technology Policy at George Washington University. 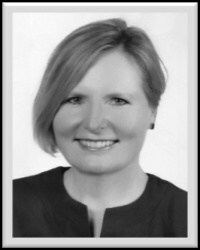 Caron moved to Jordan in June 2010 as the Regional Environment, Science, Technology, and Health Officer for the 22 countries in North Africa and the Middle East. She received the Secretary of State's Superior Honor Award. Howard Hagglund graduated from Lincoln High School in Green River with the Class of 1957. While in high school, he was active in Boys State during 1956, was on the Debate team for four years, and placed second in Debate at Northwest District. He received the "I Dare You Award" and was appointed to Northwestern Speech and Debate his senior year. He was active in theater, band, and Glee Club. Howard attended Creighton University in Nebraska and was on the Debate team. After completing his bachelor's degree, Howard continued his education by attending medical school. During his senior year, he received the Student AMA Gold Medal Award in research before graduating in 1965. After graduation, he completed his internship in Salt Lake City, Utah at the LDS Hospital for one year. From there, he spent the next two years in the United States Navy and was stationed in Southern Japan. He gained a wide experience in trauma and first hand medicine. In 1968, he moved to Storm Lake, Iowa and served as a doctor in this small farming community for two years. He then went to the University of Oklahoma a taught from 1970 to 1972. The university was just opening up its family practice studies and wanted to give it some status, so he was hired to teach clinical skills and general medicine. He then moved to Norman, Oklahoma and opened his own private practice in the field of family medicine, allergies, and metabolic diseases. 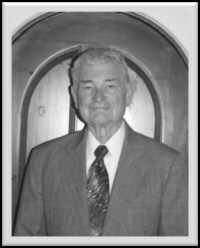 Howard was the sole owner of the Hagglund Clinic in Norman Oklahoma from 1976-2002. Howard has also been in radio broadcasting for 26 plus years, airing information about health care and alternative medicine to such places as St. Louis, Los Angeles, and areas in Oklahoma. He can be found on the Sun Radio Network, a live call-in talk format that reaches 48 states. He is also a charter member of the National Association of Physicians Broadcasters. Howard has written several medical books including Why Do I Feel So Bad (When Doctors say I'm OK? ), Help! I Feel Awful, Metabolic Happiness, and Dealing with Your Candida and Allergies. He was a teacher of the Nogier System of ear acupuncture to groups of medical practitioners and therapist in Auricular Therapy. 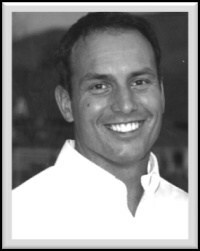 He is currently active in medicine through nutritional and alternative therapies. Glenn Hill is a native of Green River and graduated from Lincoln High School in with the class of 1951. He was active in football and the Letterman's Club. Upon graduation, Glenn enlisted in the United States Air Force serving from 1951 until 1956. He was selected as an Honor Airman in the 41st Radio Squadron while stationed in Germany. Upon discharge, Glenn returned to Green River. Glenn has been active in a variety of roles in the community. 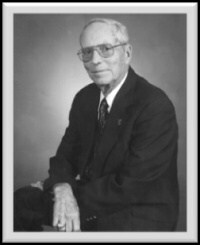 Glenn was president and major stockholder of the First National Bank in Green River until he retired in 1985. Glenn began serving with the Green River Fire Department in 1949 as a volunteer fireman. When the fire whistle blew, Glenn was automatically excused from his class at the high school and ran out to fight fires. After serving in the Air Force, Glenn returned to volunteering on the fire department. He served as secretary and treasurer for 10 years. In 1965, he became Green River's fire chief while at the same time balancing the responsibilities as president of the First National Bank. In 1985, Green River made the Fire Chief/Emergency Management Director a full time position, and he served as chief until his retirement in 1995. He coordinated a city effort in successfully lowering of the ISO rating for the city from a class seven to a class four in 1984. This movement resulted in lower fire insurance costs to Green River residents. He was a deputy coordinator for Sweetwater County Emergency Management and was also a member of the International Association of Fire Chiefs where he was selected to represent the Wyoming Volunteer Fire Service at the Stonebridge II conference held in Washington DC. He served as the first president from Wyoming for the Missouri Valley Fire Chiefs Division from 1991 to 1993, serving two terms. No one in 50 years had served two terms for MVFCA. Glenn was recognized in 2002 with the naming of the Green River Fire and Rescue Station #2 in his honor. Glenn is a member of the Union Congregational Church. He also belonged to the Green River Jaycees where he received awards for Outstanding Jaycee in 1958, Keyman Award in 1961, and Distinguished Service Award in 1964. He was also active in Lions Club and the Green River Chamber of Commerce where he was a founding member of the "Hole in the Wall Gang" ambassadors. He is a member of the Elks Lodge and a 50 year member of the Masons where his accomplishments include being a life member of the Korein Shrine and serving as Grand Commander of the Knights Templar for the State of Wyoming in 1972 and 1973. Glenn was a co-announcer for a weekly public service radio program called Over the Coffee Cups with Rudy Pershin in Rock Springs for 10 years. He was elected to the Sweetwater County School District Number Two Board of Trustees in 1963 where he served for 14 years, 10 of which he was chairman. During this time, Green River saw three new grade schools and a new high school constructed. In 1973, he served on the Nomination and Resolution Committee for the State School Board Association. In 1990, Glenn was appointed by Wyoming Governor Mike Sullivan to the State Investment Fund Committee. In 1996, Governor Jim Geringer appointed him to the Wyoming Community Development Committee where he served as chairman in 2001-2002. Glenn was honored for his service to the community in 1978 by receiving the Chamber of Commerce's first Distinguished Service Award, and in 1988 he was honored by the City of Green River with the Distinguished Citizen Award. Karl Moedl graduated from Lincoln High School in Green River with the Class of 1949. He played basketball and football for four years and received All-Conference awards in both sports his senior year. He was also active in Boys State, the letterman's club, and the senior play. Karl attended the University of Wyoming from 1949 to 1952 receiving his undergraduate degree and attending the University of Colorado receiving his medical degree in1956. In his last year at Colorado, he spent nine months as a junior member of the first cardiac surgery team at the University of Colorado. Karl performed his internship at the University of New Mexico School of Medicine in Albuquerque. He started his general surgery residency at the Veteran Hospital in Albuquerque. Two years later, he transferred to the University of Missouri School of Medicine at Columbia, Missouri. 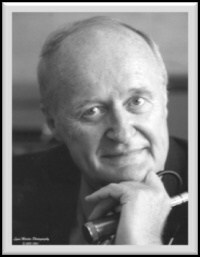 In 1961, he became the Chief Resident and helped start the first cardiac surgery program at the University of Missouri. Karl received the Iron Skull award and was in AED the National Pre-Medical Honor Society. In 1962-1964, he served in the United States Air Force as Chief of Surgery of the 389the Medical Wing in Cheyenne, Wyoming. During this time, Karl became a Fellow of the American College of Surgeons and the American Board of Surgery. He also lectured at the American College of Surgeons meeting on his experience with small bowel cancer, a rare type of cancer. After leaving the Air Force, Karl and his family moved to Albuquerque, New Mexico where he practiced general surgery for the next 34 years. Karl helped start the first Cardiac Surgery Program in New Mexico at Presbyterian Hospital. He also served as Chief of Surgery from 1980 to 1982 and was a member of the Executive Committee at Presbyterian Hospital. In 1982, Karl spent several months at Emory University School of Medicine as a volunteer with the American Cancer Society Research Program on breast cancer to determine if breast cancer could be detected before it could be felt. Mammography of the breast was just starting to become available. However, the press had reported that radiation caused more breast cancer than it found. In 1983, Karl wrote a popular book called Breast Cancer New Hope to help women understand that mammography was safe and that breast cancer could be found and treated when it was still curable. In 1991, Karl wrote a second book Cardiac Ultra Care, a diet and exercise guide for people with heart disease as well as complicating chronic diseases such as hypertension or diabetes. Later this book was made into a series of video tapes that were used for teaching. Karl retired in 1996 and now volunteers at the New Mexico Museum of Nature History lecturing children about dinosaurs. Carolyn Montgomery graduated as valedictorian from Lincoln High School in Green River with the Class of 1956. Commencing in the 4th grade at Washington Elementary School, Carolyn was the recipient of the American Legion Scholarship Award for eight consecutive years. In her junior year, she was awarded the Degree of Distinction by the National Forensic League. This is the highest degree awarded by the NFL and is usually only attained by high school seniors. She was selected to participate in Wyoming's Girls State and presided over the state government as governor, after having been elected to this position by representatives for Girls State. She addressed the assembly and was selected as one of two girls to go to nationals in Washington DC where she held a cabinet post. After high school graduation, Carolyn attended the University of Oklahoma in Norman, Oklahoma. She was a member of the Honorary Pre-Med and German Clubs and was awarded the scholarship pin for her sorority. As a freshman, she took first place in a state German II competition. She graduated with a bachelor of science degree in Laboratory Technology in 1960. Carolyn was then accepted into the University of California School of Medicine in San Francisco. She finished the four year program in the upper third of her class and earned her Doctor of Medicine degree in 1964. Carolyn did her internship at the Herbert C. Moffitt University of California hospital. She won the honor of Outstanding Female Intern in Northern California. Her post-doctoral training continued at UCSF where she completed her residency in pathology and was board certified in Anatomic and Clinical Pathology in 1970. 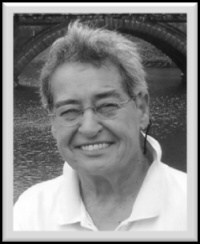 Carolyn was appointed to the Department of Pathology at the University of California in 1969 as a lecturer and joined the ranks as assistant professor in 1970. In 1972, Carolyn was a visiting pathologist in a hospital in London, England where she studied liver pathology with Dame Sheila Sherlock, who was the world's leading authority on liver disease at that time. In 1976, she attained the academic rank of Associate Professor in Residence of the Departments of Pathology and Radiology and Professor of Residence in 1984. In 1972, she was appointed to the medical staff at the VA Medical Center in San Francisco as the assistant chief of the Department of Pathology. She served as the acting chief at the VA and Vice-Chair of the Department of Pathology, UCSF from 1985-1990. She served as the UCSF Pathology Residence Program Director from 1990-2001. Over the years, she taught many medical students and residents and was nominated for numerous teaching awards. She gave weekly conferences to residents on pathology, gastroenterology, and urology. She was an invited lecturer at local hospitals and national pathology society meetings. She is listed as an author in 33 articles and 15 abstracts in peer-review journals in the specialties of pathology, gastroenterology, radiology, internal medicine, and surgery. Her collaborative studies for over 20 years with Dr. Young S. Kim have formed the basis for what is now known as hereditary colon cancer. She is a co-author of two books titled Pathology of the Liver and Biliary Tract in 1982 and Diagnostic Pathology of the Liver and Biliary Tract in 1991. In 2001, she retired as a Professor of Emerita of Pathology at UCSF. She was known by the nickname "One Cell Montgomery" by the radiology department as they felt she could make an accurate diagnosis from only one cell. Holly Peterson Steed was born in Rock Springs, Wyoming and graduated valedictorian from Green River High School in 1995. She participated in All-State Choir for four years and in All-Northwest Choir the two years it was offered. Holly participated in cross country and track for all four years of high school and ran in indoor track meets. She received All-State Honors in both track and cross country all four years. She was part of the four time state championship cross country team as well as being a state champion in the 1600 meter run, 3200 meter run, and the 4 x 800 relay. After graduating, she attended Ricks College and ran her way into the college record books in two sports, cross country in the fall and track in the spring. As a freshman, she finished 6th among individuals at the NJCAA finals and earned All-American status helping her team win the national championship, the 7thconsecutive NJCAA title for the Lady Vikings cross country program. The following year she finished 3rd in the national finals and again earned All-American status. Holly also finished first in the 10,000 meter run in track in both her freshman and sophomore years while earning NJCAA All-American status. She carried a 4.0 GPA and was named recipient of the Betty Hatch Ideal Female Athlete award in 1997. She earned a bachelor's degree from Utah State University. She earned the Joe E. Whitesides Scholar Athletic Award in 1999, the highest academic honor given to athletes at Utah State University and was the Student Conductor of USU Concert choir. She taught over three years in Clark County School District and was nominated "New Teacher of the Year." She is the founder of the Clark County Children's Choir which sang The Star Spangled Banner at the final campaign for President Obama before his election. They also sang back up in the Cheap Trick Beatles tribute concert. Her choral ensembles consistently received superior ratings at festivals. She served as Choral Department Chair in Magnet School for Performing and Fine Arts. Holly also served as treasurer for Nevada Music Educators Association. She is a member of Candlelight Carolers, a professional caroling group that performs around the community during the holiday season. She and her husband own and operate Optometric Practice in Las Vegas, Nevada where they raise their three sons. She has served in many capacities in her church and stays busy directing the community children's choir. Holly was inducted into the Ricks College Athletic Hall of Fame in 2008.